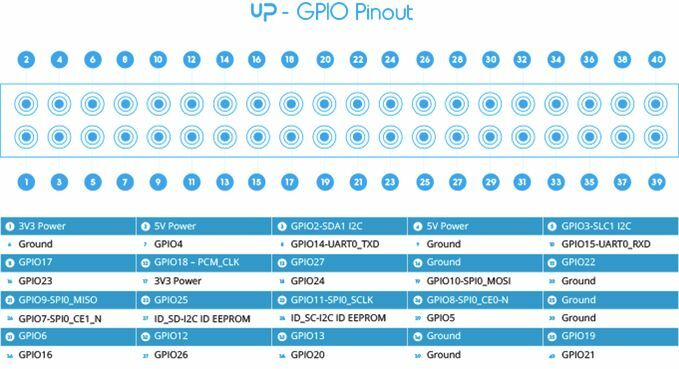 The UP is an upcoming credit card size computer, just like the Raspberry Pi. The UP embarks an x86 processor, an Intel Cherry Trail Atom X5-Z8300. This is a quad-core CPU with an HD Graphics Gen 8 GPU. This GPU has 12 EUs (Execution Units). For comparison, other Gen 8 GPUs are the HD Graphics 6000/6100 (Broadwell arch) GPUs which have more EUs: 48. 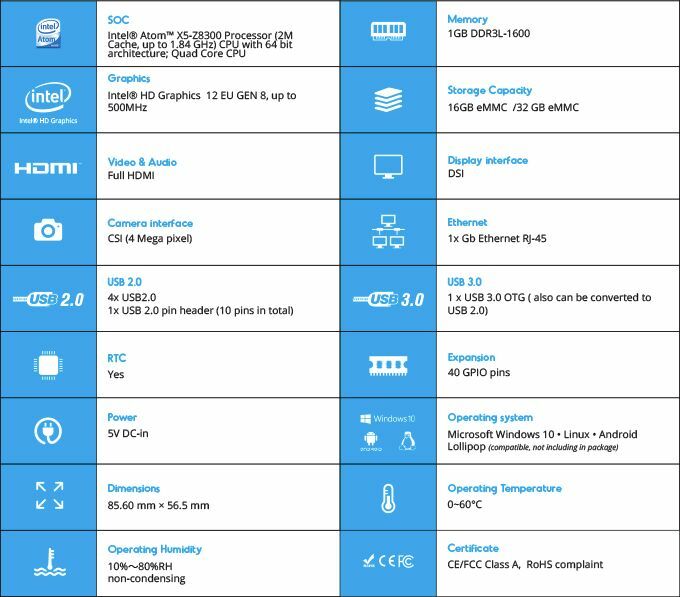 An Intel HD Graphics 4600 (Haswell arch) has 20 EUs. 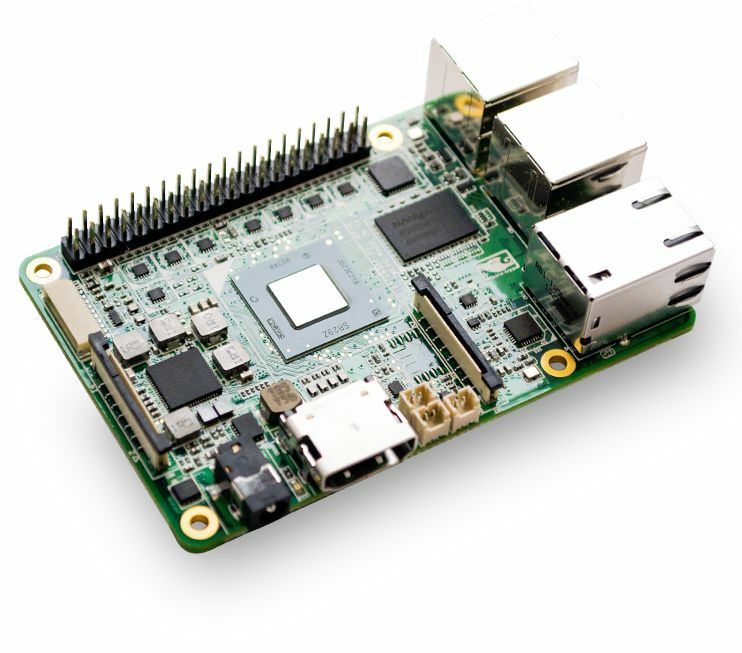 The UP board looks like the Raspberry Pi 2 board, with 1 x HDMI port, 4 x USB 2.0 ports, 1 x GBit Ethernet port and above all, a 40-pin GPIO connector that has the same layout than the one of the Raspberry Pi (see this article: Meet the Raspberry Pi GPIO Connector). The UP supports Linux, Windows 10 and Android 5.0 Lollipop. 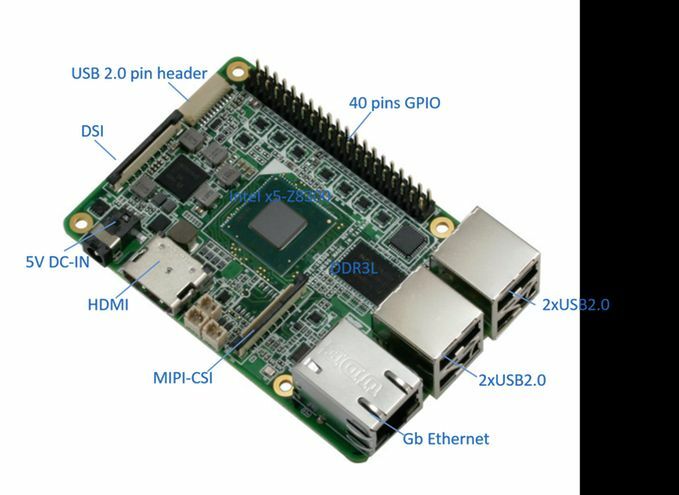 The UP should be available in February 2016 (according to the Kickstarter page) and is priced at 89€, which is nearly three times the price of the Raspberry Pi (if the UP comes with a 32GB SD card and a PSU, why not). I think stock they should equip it with 4GB. I mean, Windows already uses 1GB, and with a browser like Edge, another GB is eaten. Then you’d have to feed the graphics card. 32GB of ROM, 4GB of RAM, and a 32bit operating system should be the stock minimum they make. It’ll allow multitasking, and gaming.